ZigZag rsi MT5 - as the name implies, this is the ZigZag indicator based on the RSI oscillator. Its logic is pretty simple. 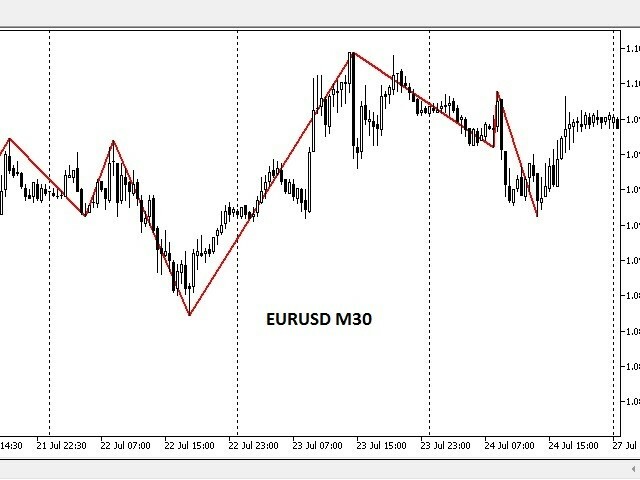 When the RSI TrendMT5 indicator informs about trend change, we search High/Low prices on the part of the previous trend. When this price level is found, it is marked by the ZigZag rsi MT5 indicator. period - period of RSI TrendMT5.